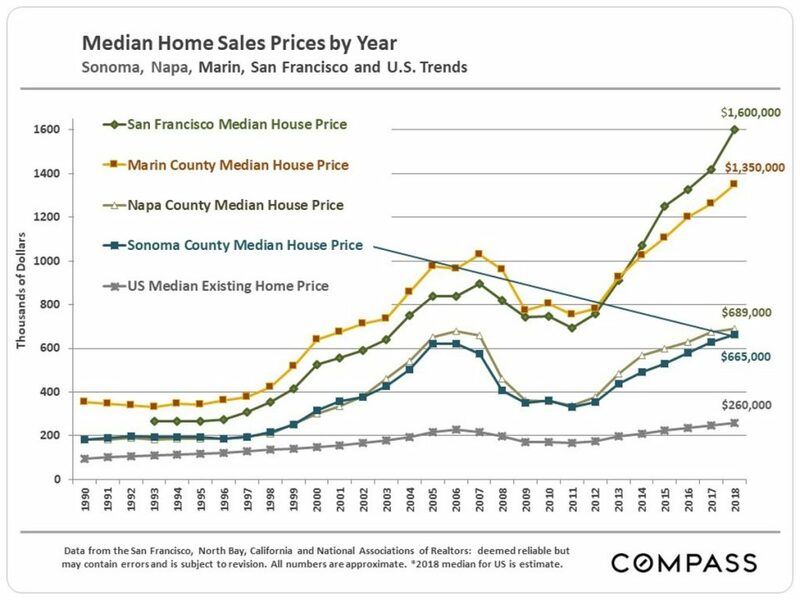 As we step into Spring check out our update on the Sonoma real estate market. And if you have a question or need in Sonoma or another location, we look forward to hearing from you. 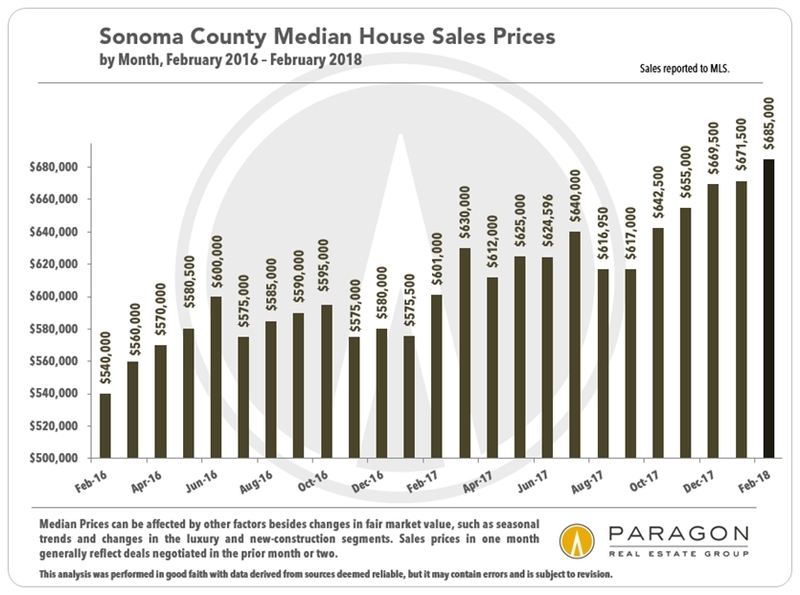 Sonoma County Market Activity Update – 2018 – Let’s review the market dynamics for Sonoma County as we kick into the new year. 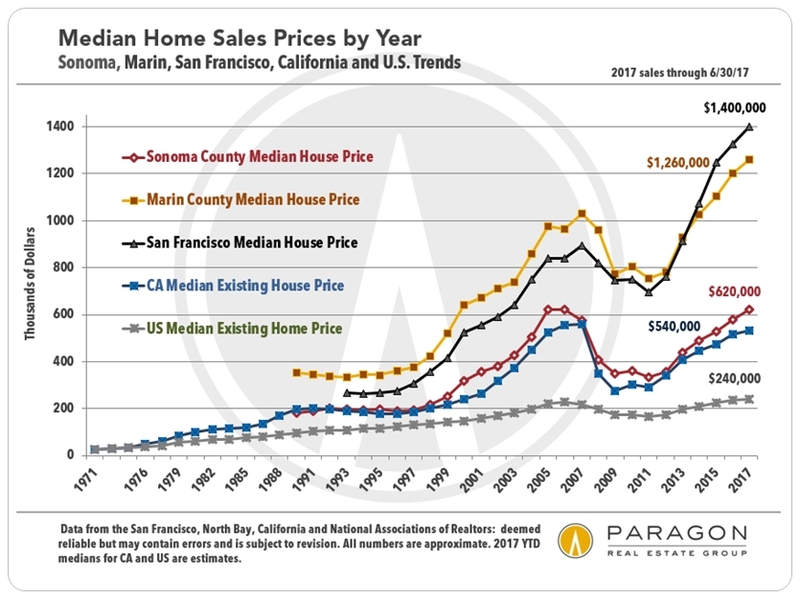 There was continued median home price appreciation throughout the Bay Area in 2017, with Sonoma County seeing a noteworthy jump in the fourth quarter due to heightened demand after the tragic fires. 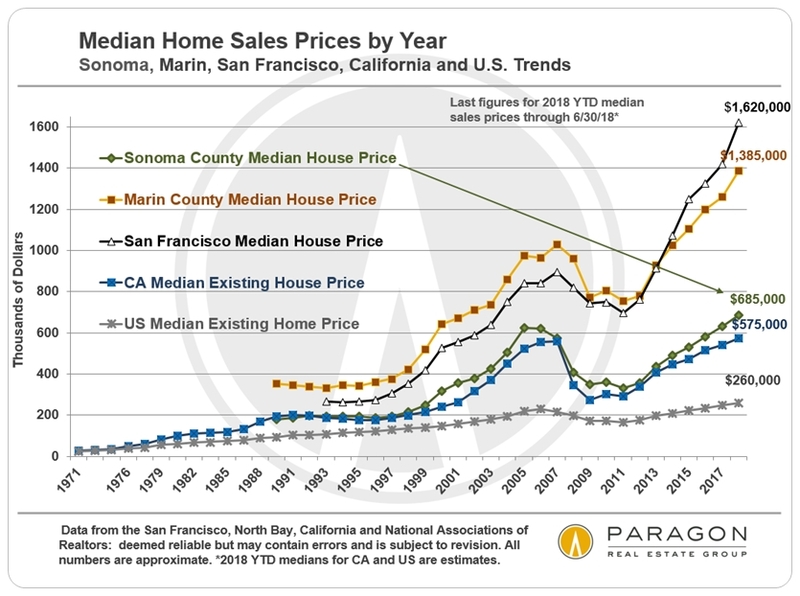 From the 3rd to 4th quarters, the house median sales price increased 5%, and condos saw a particularly large percentage increase of 11%. (See third chart below.) However, too much should not be made of short-term data until substantiated over a longer term. 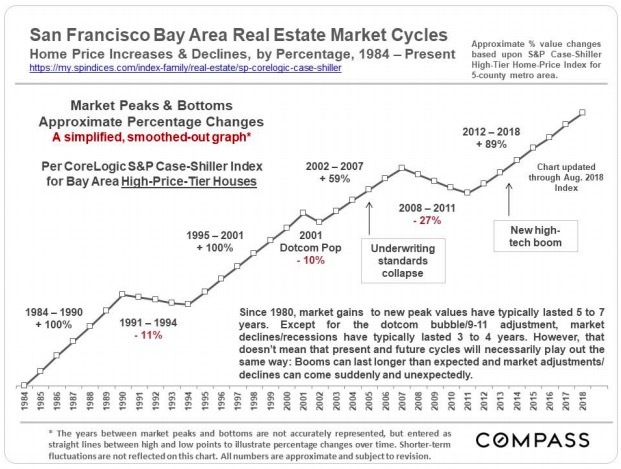 We are a little reluctant to talk about real estate market dynamics amid the suffering of so many of our friends and neighbors, but since there are people who still need or want to buy or sell, we have put together the following report. 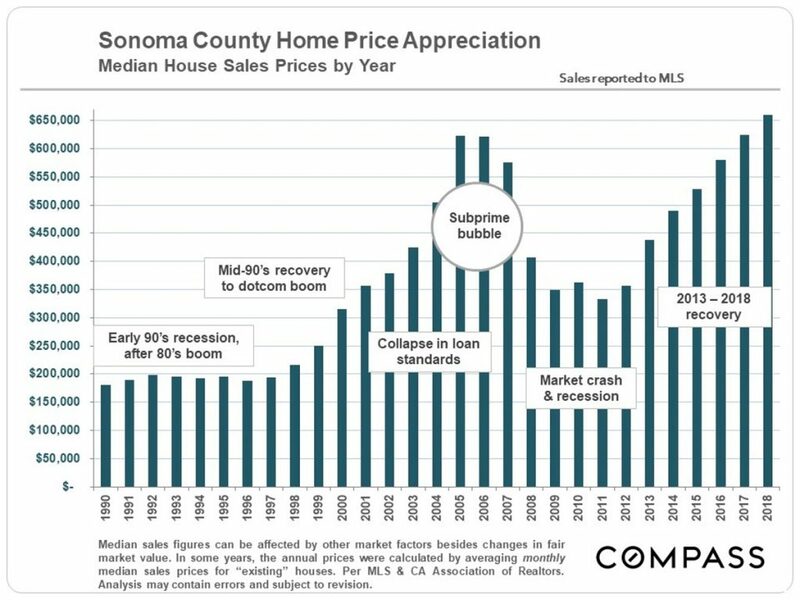 Obviously, the loss of housing from the recent fires is adding further pressure to both the resale and rental markets in both the wine country and adjacent counties, which were already characterized by low supply. Spring and summer are two most active selling seasons in Sonoma, but a substantial amount of business will still occur before the market starts to enter its winter holiday hibernation in mid-November. 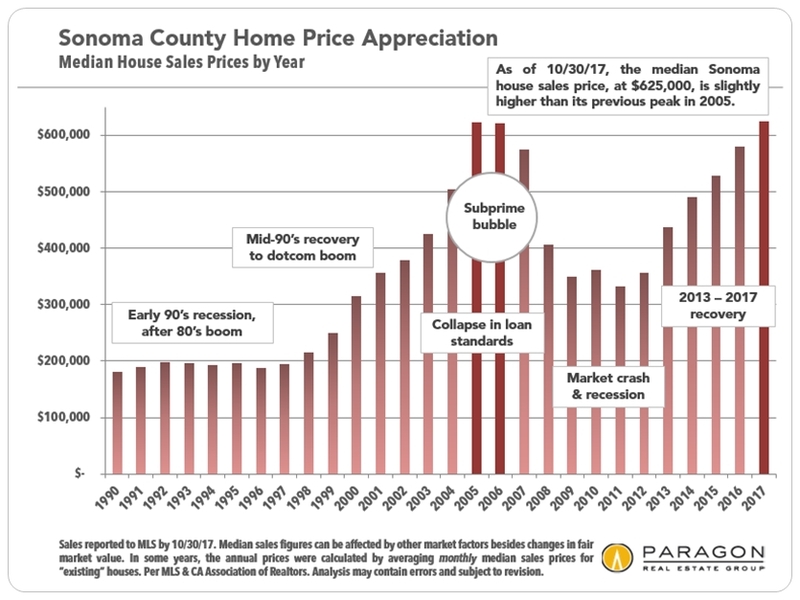 So far, 2017 has seen significant home price appreciation virtually throughout the county. 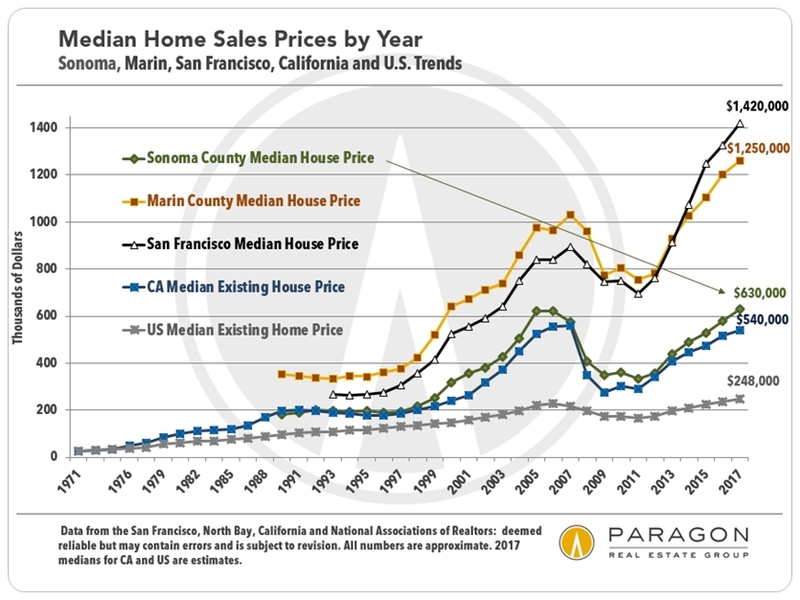 As illustrated in the first chart below, a big factor is its much greater affordability when compared to Marin and San Francisco. 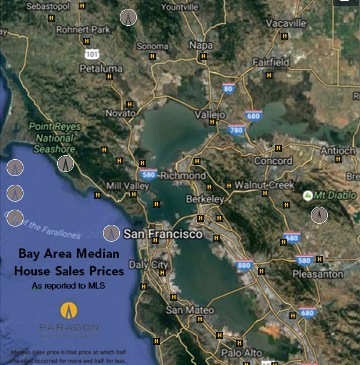 Of course, Sonoma is also simply a wonderful and beautiful place to live and still be within relatively easy driving distance of the city and its amenities. Out of town guests are arriving, the kids are hungry, the dog is restless, or you are just lying on the couch hoping for something to motivate you to get up and out of the house. 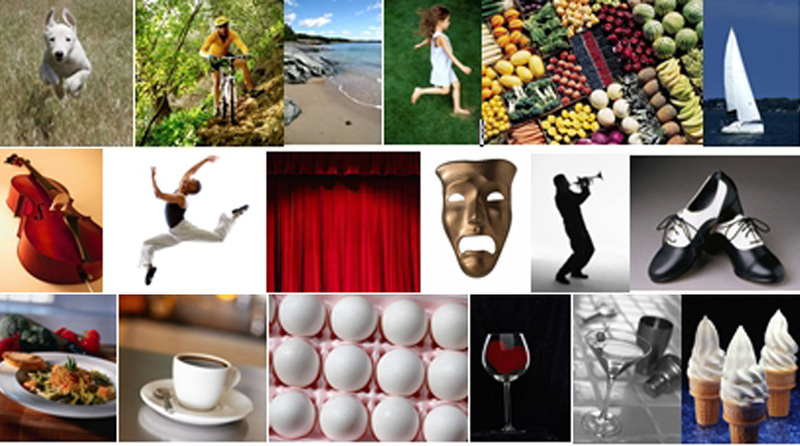 Food, drink, music, dance, yoga, biking, hiking, weekend getaways, meditation retreats, and things to do with visitors, children and dogs.